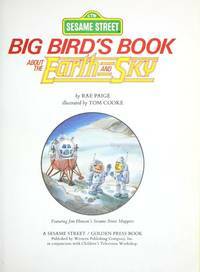 New York, NY, U.S.A.: Random House Children's Books, 1985. light edge wear o/w contents are clean, featuring Jim Hensons sesame street muppets. C. Decorative Cloth. Near Fine. Illus. by Cooke, Tom (illustrator). 4to - over 9¾" - 12" tall.